La herramienta de entrenamiento de remo más relevante del mercado. RP3 lo ayudará a usted y a su equipo a mejorar su estado físico, coordinación y velocidad. Para maximizar la velocidad del barco debes: Alinee y coordine las fuerzas entre los miembros de la tripulación del mismo bote, pero también envíe potencia simultáneamente, así como mejore la forma física y la técnica de deslizamiento. ​ RP3 puede ayudarlo en estas tres áreas. RP3 está construido completamente de acero inoxidable para una máxima durabilidad. 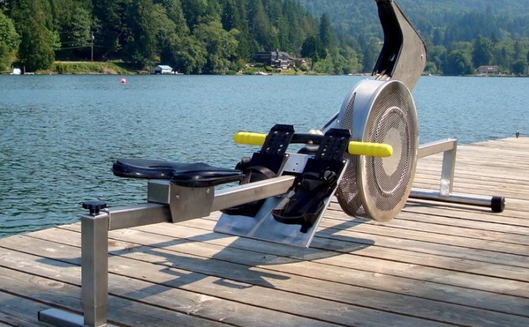 The RP3 was the first dynamic rowing machine in the world which simulated the rowing movement as in a boat. The Olympic and elite rowers of all countries in the world are using it for their land based training. By its patented construction and sophisticated software, you will have a training tool that supports the rowing technic as well as building Fitness. The unique possibility of connecting as well the machines as the handles to build a pair, quad or eight makes it a great tool to synchronize crews. The software build on an App platform makes it easy to install on all of your devices and always have your rowing data with you and because of the Bluetooth connection you don’t need any cable to connect to the RP3. By the use of only the best materials and mostly build from stainless steel you will have it for lifetime. If you’re looking for the best tool for exercising, RP3 Dynamic is the one to get. The Software based on Android, Play Store; RP3 Erg Data, is what sets RP3 Dynamic Indoor Rowers apart from other training devices. The data pro stroke is the closet compared to the performance with the same effort you would get in a boat. Yet easy to use and with a force curve that is so accurate, that you can see how consistent you are on every stroke row. The workouts can be programmed by yourself and all the workout data can be exported to your email and can be analyzed stroke by stroke. The App connects with most BLE hearth rate belts and gives you the opportunity to display your work pro pulse. The adjustable monitor holder lets you position the monitor in any angle. Every flywheel is completely balanced and the all are matched to get the same data output. Because of the special weight and inertia it gives you the same feel as an oar that goes through the water. The airflow to the flywheel is controlled in a very easy way with a slide that is attached over the cage.so you can change the load to your preference. The RP3 has wheels on the front foot allow you to roll the fully-assembled machine into position and can be stored upright. The use adjustable heel flex footrests on our indoor rower makes it easy to set the right height for your foot size Our handle has a bending in two directions to get no tensions in your arms and wrist during the drive, also simulates the movement of the oar through the water. The assembly of the RP3 requires the installation of the legs to the bar with four screws. We include the necessary tool and clear, illustrated instructions. Takes just 5 minutes. View the Assembly video on YouTube. Our machines are well-known for their possibility to connect them as a two, four and eight to simulate a boat and synchronize you crews. This connection is not only possible on the machine, but also to connect the handles to each other. This unique possibility makes it easy to coach a crew on land as if they were in the boat. The complete stainless steel design makes the machine strong and built to last in a humid environmental. All the parts are easy to maintain , because of the special hood that makes it good accessible. Takes power from battery pack inside the machine. 4200 kg (40 lb) as tested by RP3 . Complete Stainless steel front legs, rear legs and rail. Monitor holder can be adjusted for a Tablet or Phone and the angle can also be adjusted. Can be stored in upright position.